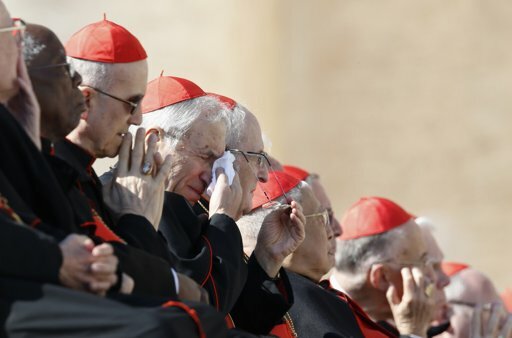 In light of this pontificate's Last Word, for those of us who've witnessed every turn of these last eight years as it happened, this morning's "farewell" message of Benedict XVI bears several conspicuous resonances to an earlier, off-the-cuff talk from the now-retiring Pope, and likely shares even more of his mind than he gave earlier today. 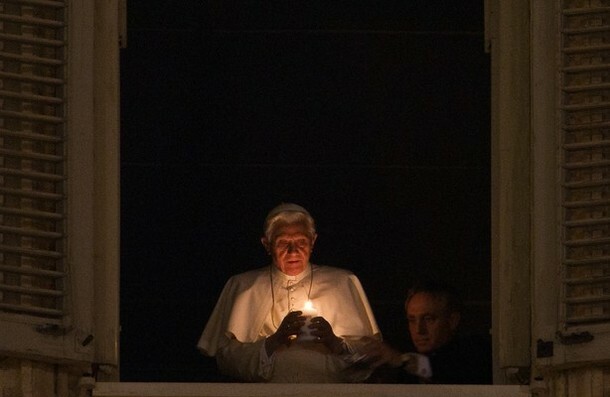 To commemorate his predecessor's famous "moonlight" appearance on the night Vatican II opened, last 11 October saw B16 address a candlelight vigil marking the Council's 50th anniversary and the launch of the global church's Year of Faith. Tonight, in what's been termed "the most significant event" to rock the Catholic world since Blessed John XXIII called the Council in January 1959, the church faces the twilight of a pontificate under unprecedented circumstances – a Pope's departure from Peter's Chair in life for the first time since, among other things, the "New" St Peter's Basilica was built. Good evening to all of you and thank you for coming! Many thanks as well to Catholic Action for having organized tonight's vigil. The fire of the Holy Spirit, the fire of Christ is never one that devours nor a destructive one. It's a quiet fire, a small flame of goodness, of goodness and truth, that transforms with its light and warmth. We have seen that the Lord doesn't forget us – even today, his way is humble. The Lord is present, he gives warmth to our hearts, shows us life, creates charisms of goodness and charity that shine in our world, which are for us a guarantee of the goodness of God. Goodnight to you all – thank you! Yet as an emotional last 24 hours of these incredible eight years now dawns upon us, even this can't be the last word.